New York-based Bloch’s Best Inc. has recently issued an allergy alert and product recall on its Vanilla Rugelach product. The vanilla rugelach is believed to contain an undeclared allergen that might cause harm to consumers. 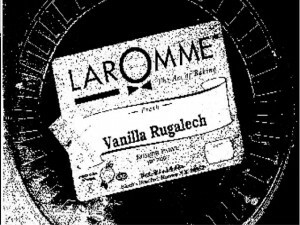 The vanilla rugelach is sold under the Laromme brand and is packaged in 14-ounce round containers. This product is said to contain eggs that have not been declared as part of the product’s ingredients. Eggs are considered common food allergens. People who are highly sensitive to eggs in any form might develop an allergy attack if they consume products that have it. In some instances, allergy attacks can lead to serious complications, which could eventually lead to death. The recalled vanilla rugelach has a UPC code of 87062500954-8. About 10 cases of this product is affected by the recall, with each case containing 18 individual containers. This batch was distributed to markets from November 2 to December 22, 2011. Investigation of the problem showed that the cause of it was a change in the design of the label. The design change was made by Bloch’s Best’s supplier. Both Bloch’s Best and its’ supplier are now working on correcting the label so that it will properly identify all product ingredients, especially those who are known as allergens. Stores who received the recalled product have already been instructed to remove it from their display while consumers who may have bought the recalled vanilla rugelach are advised to return it to where they bought it. To date, there has been one allergy attack connected to this product. Consumers with concerns about the product can call Bloch’s Best at 845-352-8811. IS THE LAROMME CHALLAH MADE IN A NUT-FREE FACILITY?